Unique shapes that offer endless possibilities for artists. * Matte aqua painted handles. * For use with acrylic watercolor and oil paint. * Perfect for painting staining and glazing. * All brushes have golden taklon synthetic hair unless noted otherwise in chart. 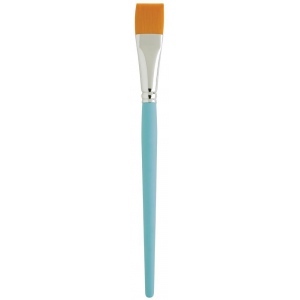 * Detail brushes with "petite" indication are specially mounted on demi-handles for painting close up.